Come along and see the wide of range of items for sale for all the family. Furniture 3 piece suites, coffee tables, occasional tables, wall display units, beds, chairs. 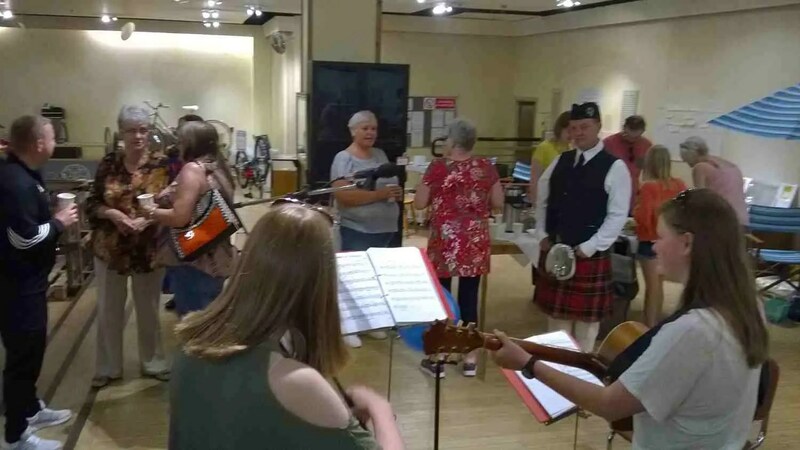 For Music Lovers, a selection of Musical instruments, for example, violins, guitars, pianos, a keyboard, plus a great selection of Lp’s and other records. For Leisure, bicycles, adult and children sizes, and a football table. Come in and chat to the personal on hand to chat to you. Charities are to propose a primary community project for the event which would benefit from corporate support. Businesses can identify projects which they feel fit with what they can offer, whether that be manpower, IT experience or funding. 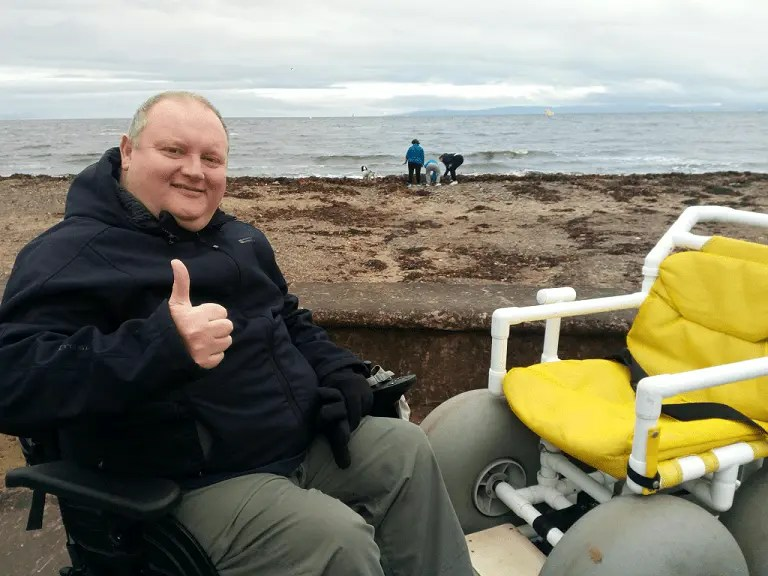 The event will be held over two days, with one based in Irvine and the other at Prestwick Airport. 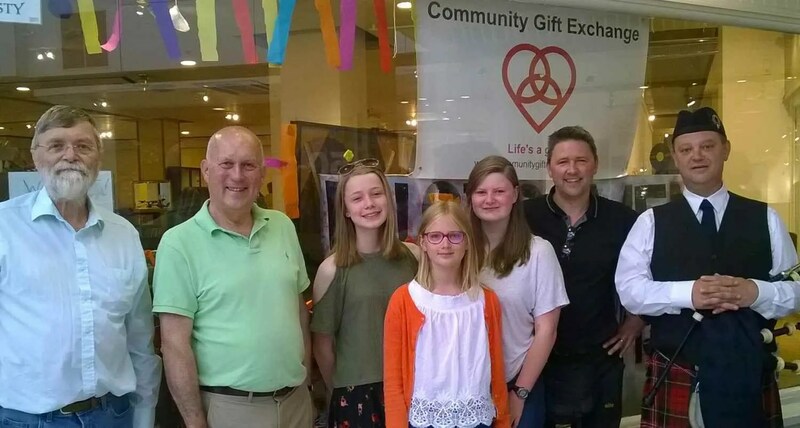 On each day, local charities and community groups will set-up stalls ready to explain the nature of their cause and objectives to local businesses who have agreed to take part. 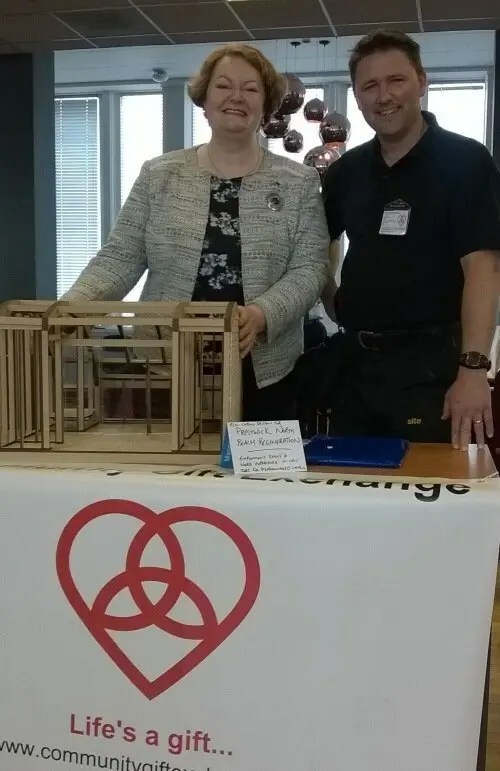 Community Gift Exchange attended and displayed the laser cut scale model created by Scott Wham Architects to Ayrshire business leaders and Philippa Whitford MP for Central Ayrshire – whose constituency includes Prestwick and the proposed North Beach Regeneration site. 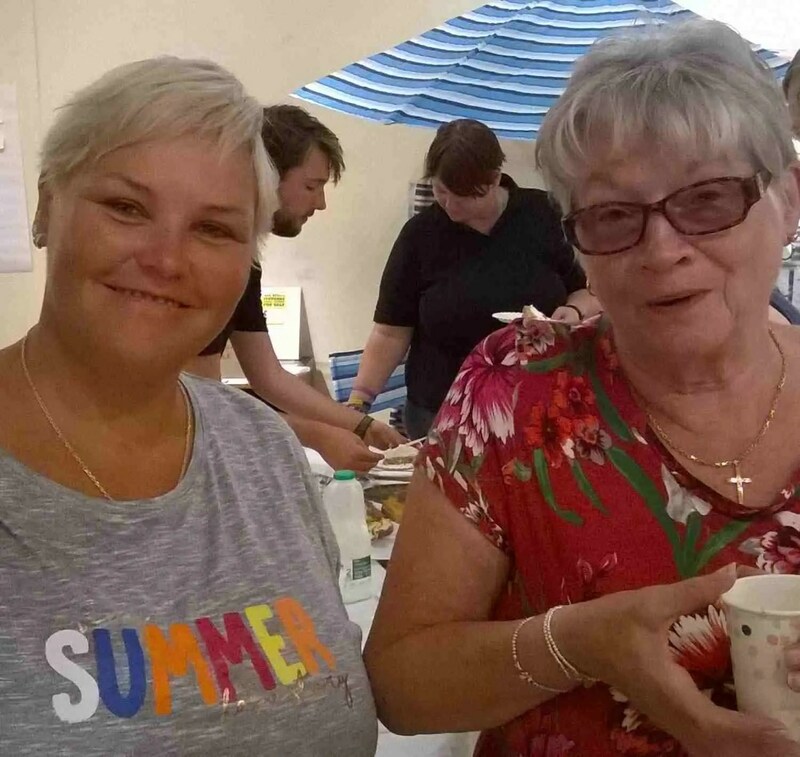 People were interested in the community build, employability skills and supported employment opportunities of the project and we had some encouraging initial conversations regarding potential donation of some specialist charitable work by company staff and site equipment. We had a wee party at the CGX Workshop to celebrate the 2018 Instrument Amnesty! 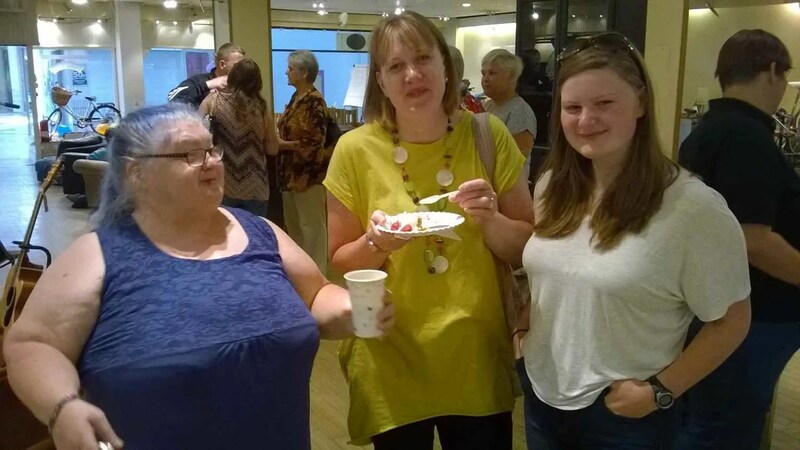 Thank you to all our volunteers and supporters for hosting the event, playing instruments and making or simply eating cake! Great to welcome our local MSP too – John now knows what we’re up to and can share the story with people who might be interested. 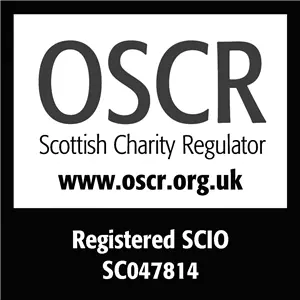 The Board of Trustees are delighted to have received notification from the Officer of the Scottish Charity Regulator (OSCR) that we have now been awarded charitable status and incorporated as a Scottish Charitable Incorporated Organisation (SCIO). We can now proceed with some essential behind the scenes administration. 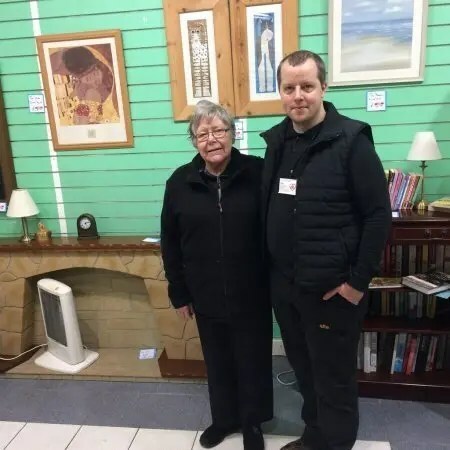 We are also starting up some smaller projects that will help develop our employment services and proposals to help regenerate aspects of our local community. We look forward to sharing some good news stories of gifts exchanged and lives changed!